How do we do physics? For more information on the workshops please read our Teacher’s Guide which outlines what the resources contain. If you would like to book the workshop in your school, please check the Connect Physics website. If you are a STEM practitioner and are interested in using and delivering the material, please register as a user here. The workshops have been tested over the last few years, both as individual workshops and as a set of workshops. The aim of the workshops as a set was to maintain and raise Science Capital in KS3 students across the year as the workshops were delivered. Our evaluation report of the pilot year show we still have to work at getting more indicative measurements of Science Capital and measuring long-term impact of the workshops. However the outcomes of each individual workshop and of them as a set was seen in feedback from students and noted by the teachers. After each workshop over a third of students said they were more interested in Physics. For a full summary of the evaluation please see the final report here. 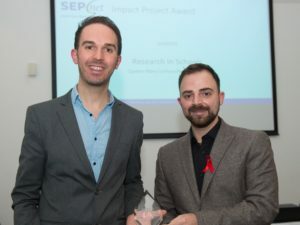 If you would like to partner with SEPnet to continue to develop the resource, or help us measure the impact of the workshops across the UK, please get in touch with the SEPnet Director of Outreach & Public Engagement. SEPnet would like to thank all the schools where the workshops were tested at every stage of development, together with all the teachers and students for all their inputs, comments and suggestions, they were invaluable. SEPnet would also like to thank Scott and Neil at Science Theatre and for taking Connect Physics from ideas to fully-formed workshops. Thanks also to Helen Featherstone for helping with the evaluation at that formative stage. SEPnet would also like to thank Hugh and his team at Hope-Stone Research for carrying out the summative evaluation and writing the final report. 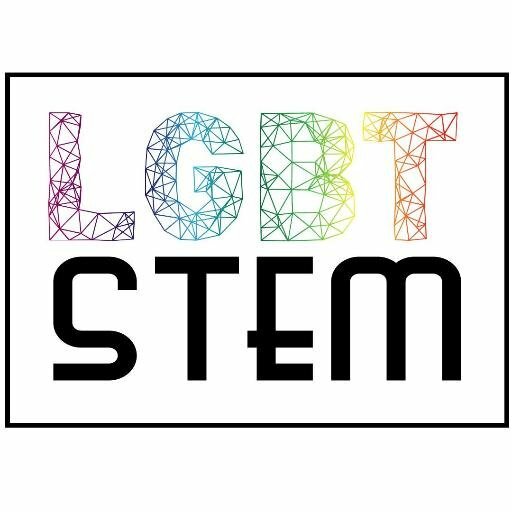 SEPnet is proud to celebrate #LGBTSTEMDay as it continues to showcase and celebrate diversity in physics. Together with LGBT STEM SEPnet is launching a set of Case Studies showcasing researchers, professional services staff, students past and present from across the SEPnet partners. 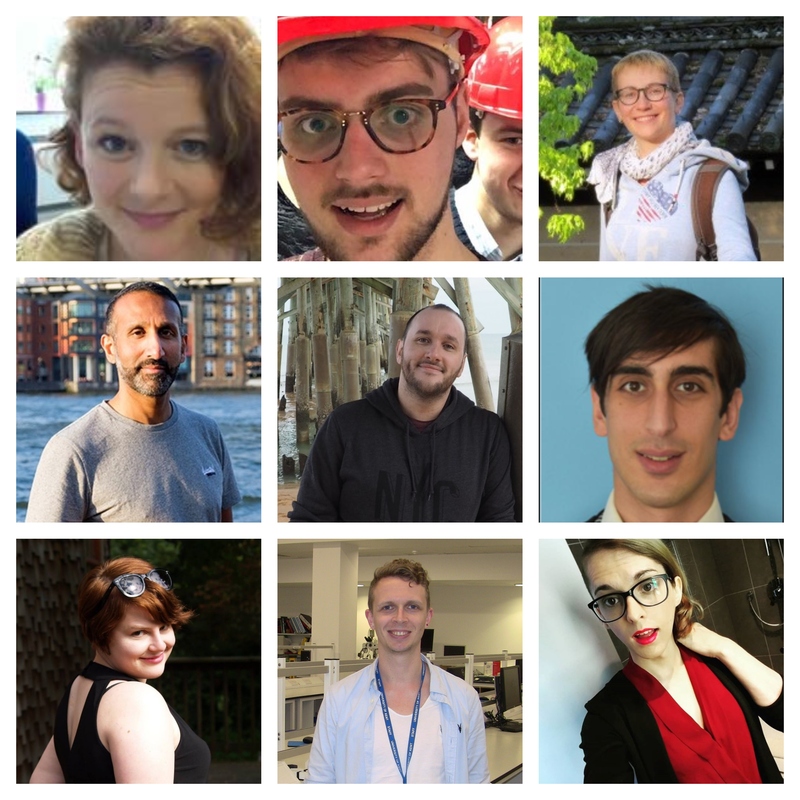 These profiles show the range of experiences for LGBT+ folk in physics. Have an explore and see if your experiences are similar to theirs. You can download them all as a pdf files here. 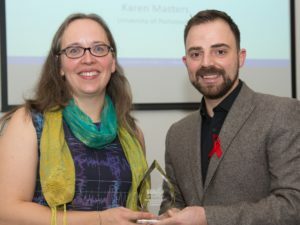 SEPnet will continue to support their LGBT+ researchers as part of their new embedded approach to diversity across all the SEPnet programmes. The Outreach & Public Engagement team, together with the University of Sussex, will be running a science stall at Preston Park during Brighton Pride, building on the success in 2016. There will be plenty of opportunity to try out some hands-on physics and talk to some of our amazing LGBT+ folk from across SEPnet about their research. 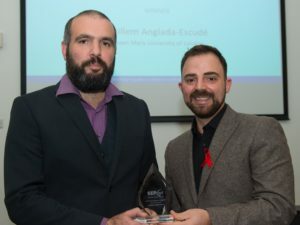 Dr Dominic Galliano, Director of Outreach & Public Engagement for SEPnet will also be helping organise 2019’s LGBT STEMinar, which is taking place in London. 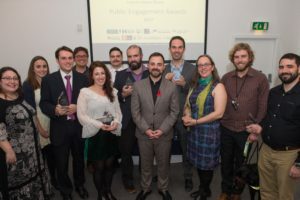 He says: “It is important to work in both directions, not only to showcase the experiences of the LGBT+ community in STEM, but to take STEM to LGBT+ spaces across the region”. If you are LGBT+ and working in the physical sciences, SEPnet strongly encourages you to join the IOP / RSC / RAS LGBT+ network to stay up to date with the latest news, opportunities from across the country. SEPnet, together with STFC, Institute of Physics and the University of Birmingham are proud to launch the evaluation report from Interact 2017. Interact 2017 was a symposium whose aim was to cultivate a community of engagement practitioners within the physical sciences who develop high quality STEM engagement and encourage a culture of strategic and reflective practice. The symposium was a success with over 120 physical scientists from across the UK attending and sharing best practice. The symposium is also measuring its impact on these scientists through a yearlong evaluation process, the baseline of which can be found in the report. In addition to this, the report showcases the rich landscape for Outreach and Public Engagement that currently exists in the physical sciences across the UK and sets good measures for its continued development. The symposium also featured plenary speakers Prof Alice Roberts (University of Birmingham), and SEPnet’s own Prof Jim Al Khalili (University of Surrey) talk about their careers as engaged researchers and science communicators. Over half of the 30 parallel sessions on offer at Interact 2017 were delivered by a physicist from a SEPnet partner, or had some SEPnet involvement on their project. This shows SEPnet leading in Outreach and Public Engagement best practice across physics departments in the UK. 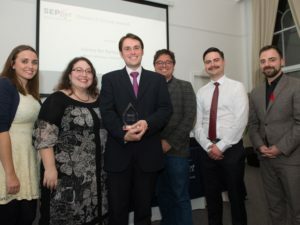 This is all thanks to the continued long-term commitment from all our partner universities to the SEPnet Outreach and Public Engagement programme through the hard work from the Outreach Officers, Physicists and all our project partners. 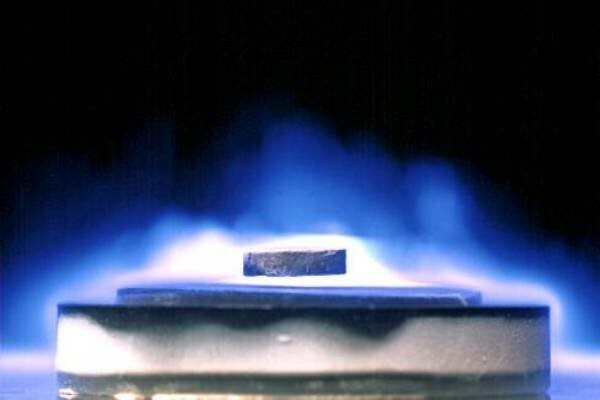 If you missed the day and would like to get a feel check out his video from the Institute of Physics which features SEPnet’s Director of Outreach and Public Engagement, Dr Dominic Galliano. 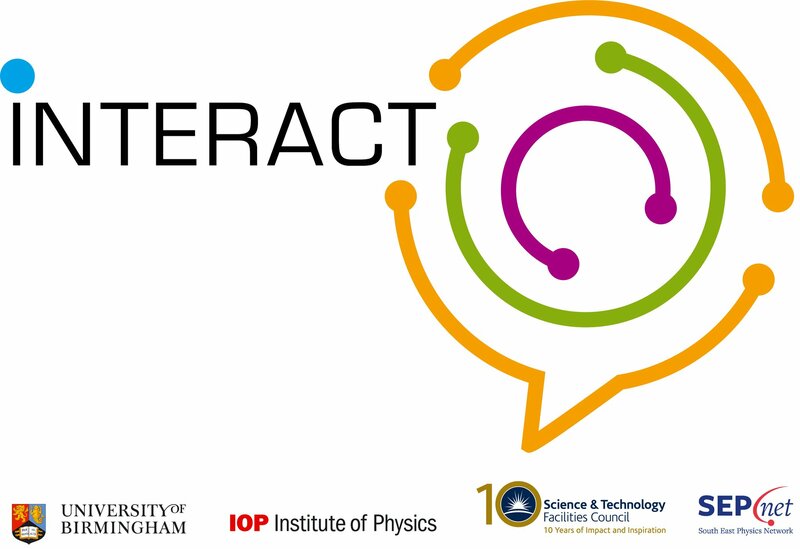 SEPnet looks forward to supporting the next Interact symposium in 2019. 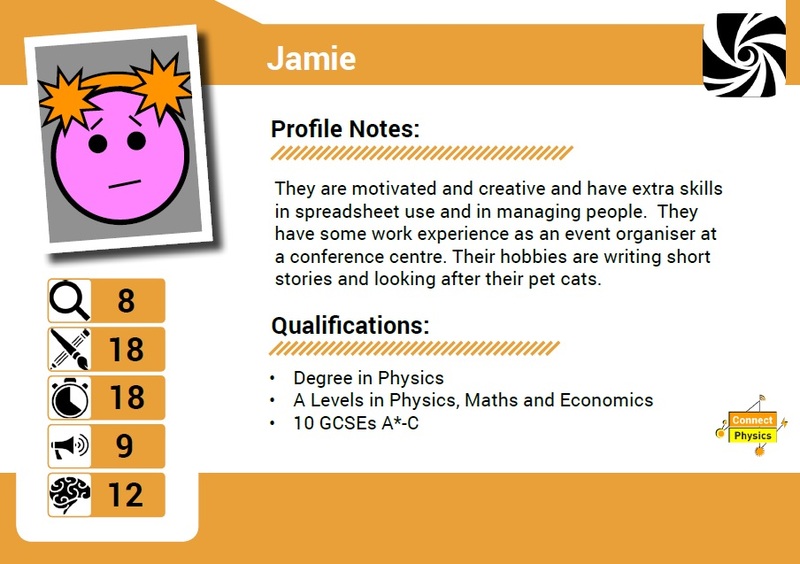 During the 2016/17 academic year, SEPnet Outreach & Public Engagement has been piloting a project determining the best role Physics Outreach Officers can play in tackling and improving the gender stereotyping problem in schools. This was the first SEPnet-wide project which involved building a direct partnership with a set of schools to deliver a programme of activity over an academic year. The pilot was a first step, so the priority for the evaluation was on logistics over impact of the project, though both were considered. The evaluation was carried out by Elizabeth Jeavans and Sarah Jenkins. The full report can be found here. Year 8 Students – following their involvement in Shattering Stereotypes, they now view future opportunities as not being constrained by stereotypical perceptions of gender. Year 12 Students – developed transferable leadership and communication skills through their participation in the communications challenge. Teachers – valued external visits and having resources from universities. 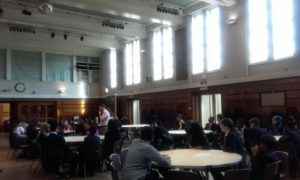 Outreach Officers – welcomed the opportunity provided by the project to work as part of a team and to be involved in building up a relationship with schools, as opposed to one-off activities. Message. Throughout the project there was some confusion about whether primary purpose of Shattering Stereotypes was to address/ reduce gender stereotyping or to equalise the gender balance in physics through greater understanding of physics career opportunities. This was the tension the project team struggled with from the development of the project. The idea was to address / reduce gender stereotyping, but the strength of SEPnet’s experiences in School’s Outreach shifted this towards equalising the gender balance in physics, especially in the earlier workshops. Logistics and Partnership. Throughout the project there were some logistical challengers in booking the Shattering Stereotypes activities. There was also a lack of connectivity across the activities and support between said activities. This was due to its nature as a pilot project. 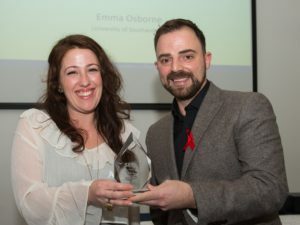 It was the first time SEPnet has both worked in the realm of Gender Stereotyping and in the format of delivering activity throughout the year. This together with the large workloads and busy environments in schools led to some workshops being missed at some schools and a lot of last minute work being carried out by Officers and Teachers. A summary of experiences and outcomes, along with opportunities from development can be found here. The report also issued a list of twelve recommendations, all of which we taking into account as we develop the project for the 2018/19 Academic Year. The project team would like to give a massive thanks to all the teachers who partnered with us on the pilot project. 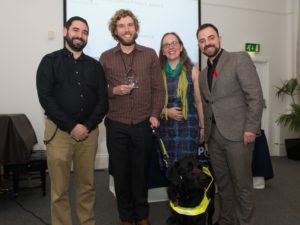 Their input and time has been invaluable and has a great impact in how we continue to develop and deliver this project, and many others across SEPnet Outreach. Elizabeth and Sarah for their contribution and insights throughout the process. All the physics role models from activity two, who took time from their busy schedules to attend events. The Year 12 students who took part, most of whom are currently in the process of applying for University. The team wishes them good luck in your future careers. All the Year 8 students who participated in the pilot project. Their enthusiasm for the subject matter was apparent from day one of the project. They constantly surprised us, challenged us and pushed us to do better. The team hopes they all remain staunch champions and continue to challenge gender stereotyping wherever they see it. SEPnet will be running the project through the 2018/2019 academic year. If your school is interested in joining the project as a partner, please e-mail the Director of Outreach & Public Engagement outreach@sepnet.ac.uk. At the moment SEPnet is looking for state-funded, mixed-gender schools for this project. Further details on the project will be available in Mid-March 2018. There are still a few places left for schools to sign-up to Holography Workshops in Central London. 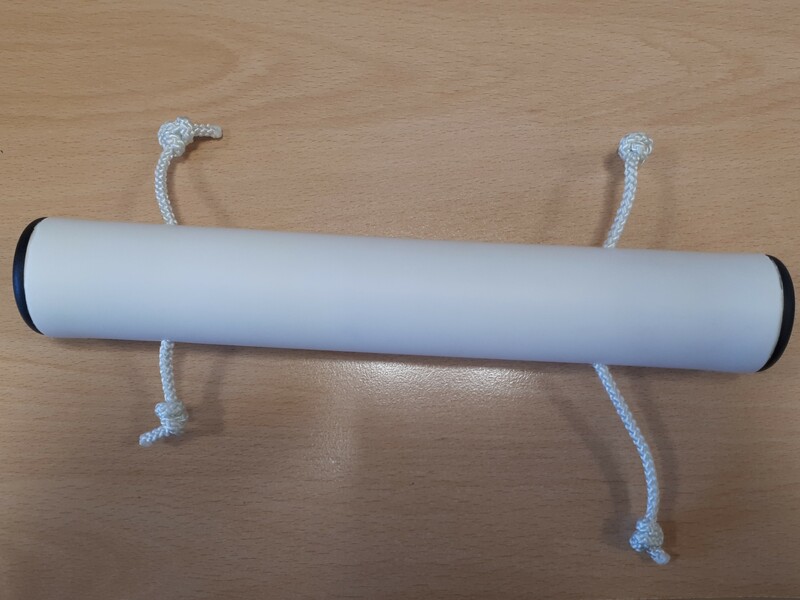 These will be run by the University of Southampton as part of their PHABLAB project. Hands-on workshop in Photonics (laser technology) for KS3 students of all genders. Students will learn about and apply basic light theory to create holograms. They will be working with an experienced team of educators and researchers. Students will learn about Photonics, a key cutting-edge technology, important for solving societal challenges in the 21st Century, such as energy, medicine, telecommunications and manufacturing, in a creative & informal environment. Green Lab (3Space), Corner of Keeton’s & Collett Road, Bermondsey, London SE16 4EE. SEPnet is looking for an evaluator for Connect Physics, our new workshops looking to raise the number of Year 8 students considering physics as a pathway to their future. There has been some formative evaluation and initial testing on the workshops but we would like the evaluator to join us for this final phase of testing and summative evaluation. Details for the project can be found here. The evaluation brief can be found here. SEPnet Outreach will accept proposals up to £7,000 which should include any travel expenses and VAT if applicable. Any proposed budgets above this amount should be justified within the proposal. Deadline for proposals is Monday 16 October 2017. Please contact Dominic Galliano on 0207 882 5063 / 07702 363 731 or outreach@sepnet.ac.uk if you would like any further information.